GDQ pneumatic high vacuum damper valves|Vacuum Valves|Vacuum Pump - Vacuum Pump - EVP Vacuum Solution! Description: GDQ-J is angle type and GDQ-S is three-way type with prepumping. Applicable medium can be air and noncorrosive gases. 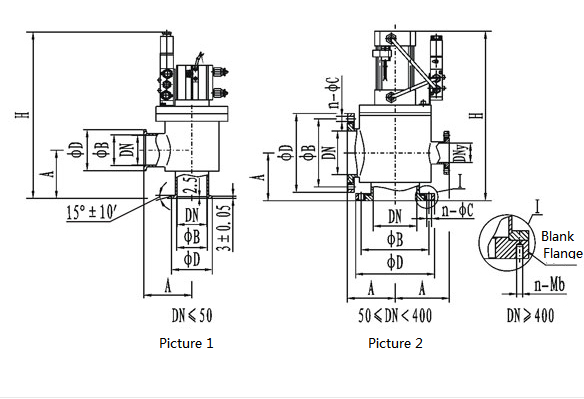 GDQ pneumatic high vacuum damper valve(Angle Valve), motivated by compressed air, pushes the cylinder to up and down move with the valve rod by changing the direction of electromagnetism to transform the gas circuit direction, which drives the valve to open or close, in order to cut off or connect gas flow in the Vacuum system. GDQ-J is angle type and GDQ-S is three-way type with prepumping. Applicable medium can be air and noncorrosive gases.